It comes as no surprise that organic traffic is a necessity to all small businesses. Those businesses that can get their websites and content up in the top 3 listings will receive over 80 percent of search traffic. If your business website is not in this top 3, you will only be receiving around 20 percent of search traffic. 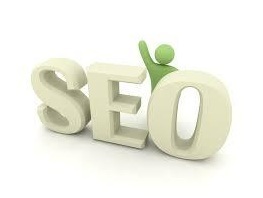 The secret is to get good search engine rankings so you can slowly and steadily receive organic traffic. Below are 5 SEO success tips that you can follow to help you with this tricky business. Implementing analytics into your SEO company campaigns will help you to determine and report which of your website pages are getting the most organic search traffic. You can use tools that will enable you to view the page with its data. In some cases, search patterns can take a little bit of time to develop. Therefore, you will want to review this data over various time periods like every 30 days or 90 days, etc. This will help you to determine the trends and patterns that are harder to spot. When using Google Analytics, keyword details may be a bit challenging. Traffic received organically is typically reported by keywords, however, Google, back in 2011, encrypted data for the users who click on a tagged website while they are logged into their Google account. This means that your reports would then show a "not provided" phrase for these types of visits rather than the keyword they used. Online tools can help with the viewing of more keyword details and will enable you to view the traffic from different search engines, examine backlinks and compare your page rank with your competition. Certain tools like this include SEOMoz Open Site Explorer, CognitiveSEO and Searchmetrics Suite. The Google Penguin update last year made it perfectly clear that only high quality websites that were very resourceful would rank for competitive keywords. It is no longer mattered how many low quality backlinks you had coming to your website and many SEO marketers had to change up their linking strategies. These days, it is very important to only associate yourself with trusted and credible sources. Your business as well as linking strategy should be positioned around credible and reputable websites to ensure you get high quality links only. Also important is providing content that provides true value to your website visitors. You can add in key principles in your content to simplify this process. This means narrowing down on particular principles that aim to give your visitors real value. Pay close attention to the feedback your customers are providing and change your principles accordingly. For SEO purposes, it is important to use proper keywords. You should not only be using the right keywords, but you should be using them in the right way as well. These days, it is very important that you are providing content that is intended for your readers and not for the search engines. If you use your keywords in your content too much, it can be viewed as keyword stuffing and will begin to make your content sound unnatural. If you use related terms which are often naturally placed within your content anyway, the search engines will index your content properly making it easier for your customers to find you. Keep in mind, your visitors or readers are your true source of ranking anyway and by generating valuable content, you will gain more readership which often goes viral, providing more backlinks and boosting your overall rankings naturally. Lynne Reed is a freelance writer who writes for several content companies as well as private clients. Subject areas that she covers include Seo tips and tricks, online marketing and blogging for SEO Company.